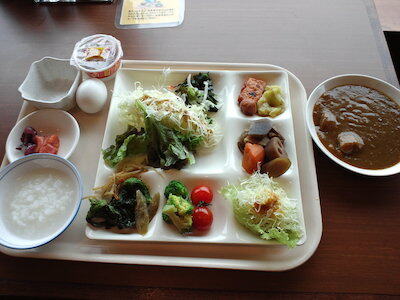 I ate breakfast at Totoka, a restaurant in a hotel. 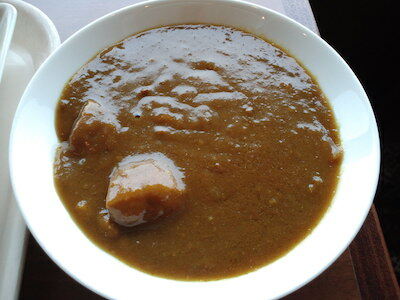 I found Akan pork curry there. 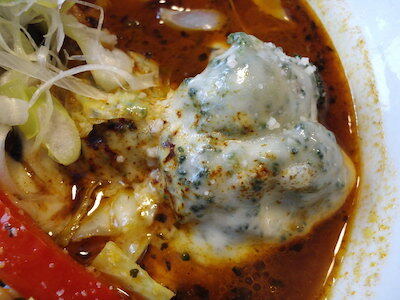 I ate vegetables and curry. They were so good. In the morning I went to four bakeries with my wife. It was a pleasure and interesting. We enjoyed so much. 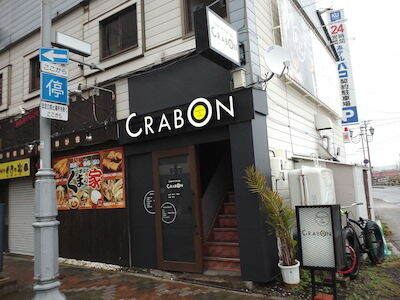 For lunch I ate pork vegetable soupcurry at CRABON. 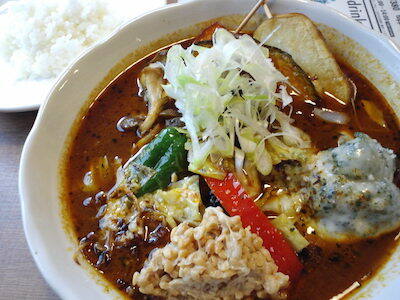 I selected Fuyu no Kushiro Shitsugen curry that meant a winter Kushiro Wetlands curry. There were many vegetables and pork. It was good. 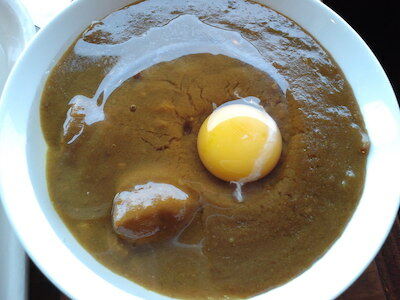 My wife ate vegeteble soupcurry. She felt good, too. In the afternoon we went to brandnew Sennosuke. There were shops, restaurants and aquarium in there. It was good. We went to a dog cafe to take our rests and for dinner at TAO. It was a happy day to spend. Thanks so much.